Spend lunch with Gene Principe as he shares his stories and insights of how he turned his childhood dream, of being a Sportscaster for a major national television network, into reality. Gene will also share stories and insights about his time with the Edmonton Oilers organization, his coverage of the 2010 Winter Olympics, the television broadcasting industry, and how he has defined himself as the Prince of Puns. 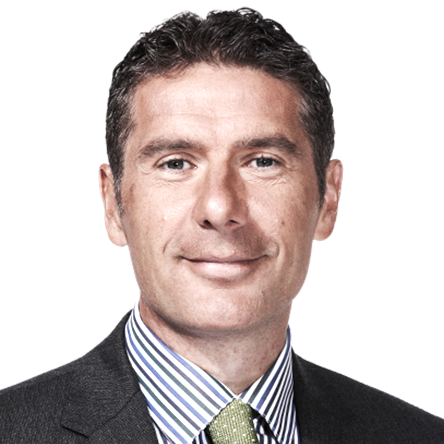 Gene Principe is a Canadian sports reporter for Sportsnet. Gene was born and raised in Edmonton. Growing up in Alberta he always wanted to be a sportscaster. As a young boy he idolized the likes of Howard Cosell, who he found to be one of the most engaging individuals in sports. When he came to the earth-shattering conclusion that he would not be making millions of dollars as a professional athlete, he turned his focus to covering sports. He began his broadcasting career as a videographer at CFRN in Edmonton, later moving to CKND-TV in Winnipeg (now a part of the Global Television Network), where he worked as a sports reporter and co-anchor on the station's nightly half-hour sportscast. Gene is now best known for his work on Sportsnet's Edmonton Oilers broadcasts. He also worked on the men's hockey broadcast team for Canada's Olympic Broadcast Media Consortium at the 2010 Winter Olympics. Gene is well known for the use of puns during broadcasts. Despite the travel often associated with his job, his wife Karen has always been more than supportive, encouraging him to follow his dreams and pursue a career path, which she knew he would enjoy and would benefit the family. Through a hectic work schedule, his family is his number one priority. His children - sons Francesco and Matteo and daughter Izabella - along with his wife, are the most important parts of his life.